"Our homes have been burnt"
After violence erupted in the region, thousands of people fled from their hamlets suddenly, unable to take anything with them. They went to the nearby villages of Foubé, Barsalogho, or Arbinda, Kelbo and Déou. The Barsalogho camp for internally displaced people was installed in a hurry, providing more than 900 people with shelter. Many of them, including Dicko, were living in small hamlets with their families. After they fled, Dicko’s mother healed his sores with warm water. Once the family arrived in the camp, the medical teams cleaned the wounds with antiseptic solutions to avoid infection. “I was in the bush, this is where they caught me”, says Dicko, 17 years old, wounded at the ear and head. In Barsalogho camp, families live in tents installed by the government and cook for themselves with the few pots and pans gathered thanks to local solidarity and the local authorities. Some bags of corn pile up in the middle of the camp, along with other foods. But water remains a problem as there is no spring nearby. Tanker trucks drive each day to the closest city of Kaya, located more than one hour away from the camp, to bring back water that can be distributed to the camp’s inhabitants. In other sites where displaced people have arrived, it has taken more time to install the camps. In Foubé for instance, not all tents are set up. Some 8,000 people live in the camp in close proximity, increasing the risk of measles cases. "The village? I don’t want to hear about it anymore. Our husbands were killed. 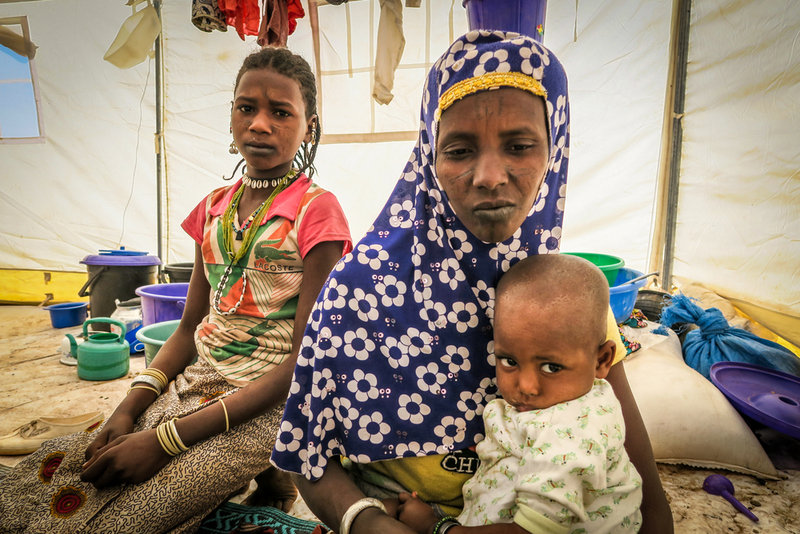 Our children’s notebook were all burnt.” Haibata and her granddaughter in Barsalogho camp. MSF is supporting local health teams to minimize the epidemic risk: more than 2,100 children were vaccinated against measles in Foubé during the first day of a campaign aimed at vaccinating 7,000 children. Another 600 were vaccinated in Barsalogho. However, the needs are still significant, according to Idrissa Compaoré, MSF Medical Coordinator in Burkina Faso. 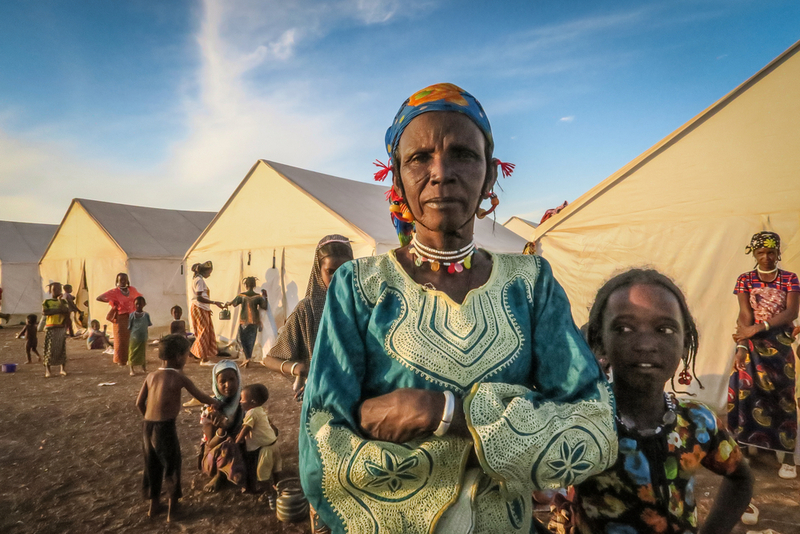 “All actors involved in the response should ensure that the displaced populations have access to drinking water and that the camps maintain a certain level of hygiene. 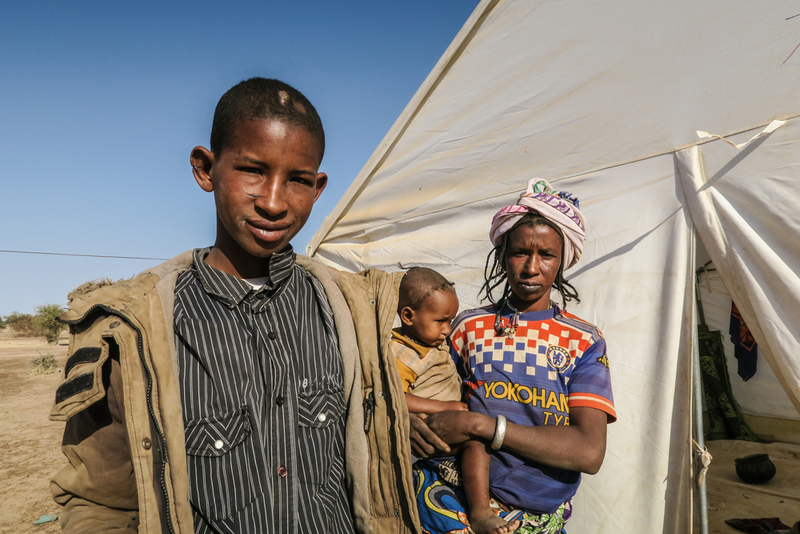 Essential medicines should be available in sufficient quantities and stored away from heat and dust.” Each week, medical teams consult more than 300 people in Foubé and more than 200 in Barsalogho. Patients suffer mostly from respiratory infections, malaria and parasitic diseases.